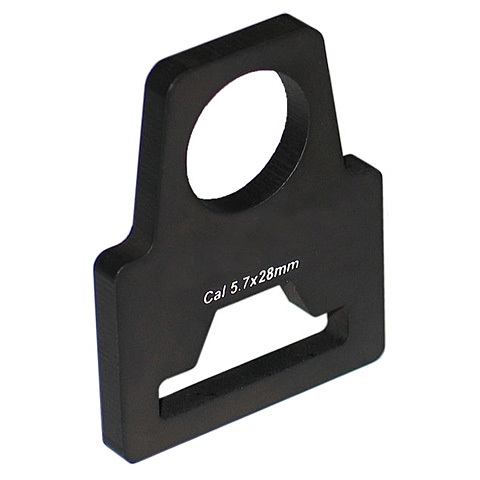 Single Point Sling Mount for M4 Collapsible Stock. 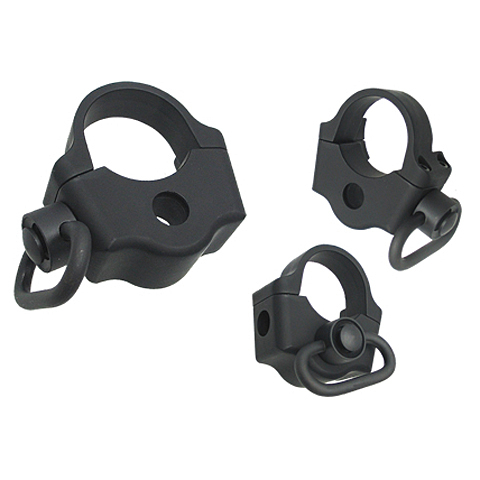 The sling swivel can mount on 3 difference positions at your preference. 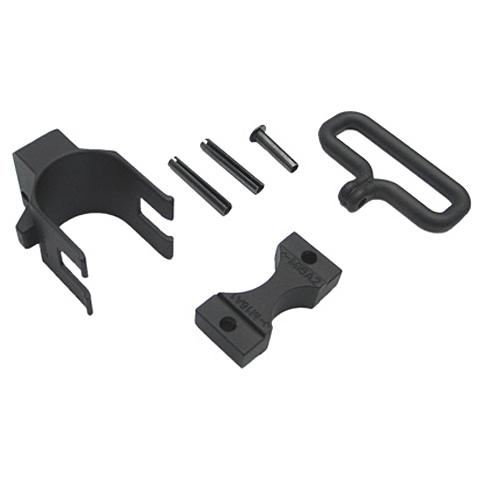 Will fit Marui / KingArms M4 stock pipe and also other M4 Collapsible stock. 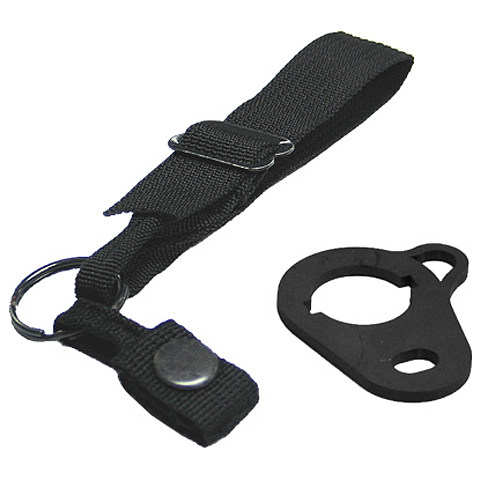 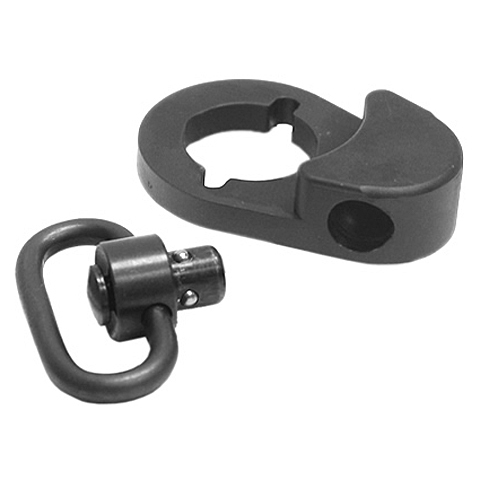 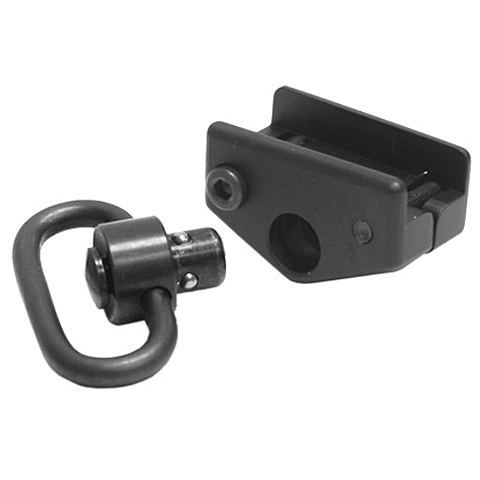 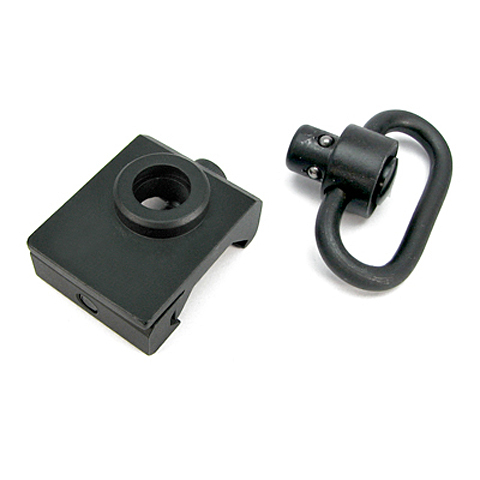 Single Point Sling Mount for A2 Fixed Stock The sling swivel can mount on 2 difference positions at your preference. 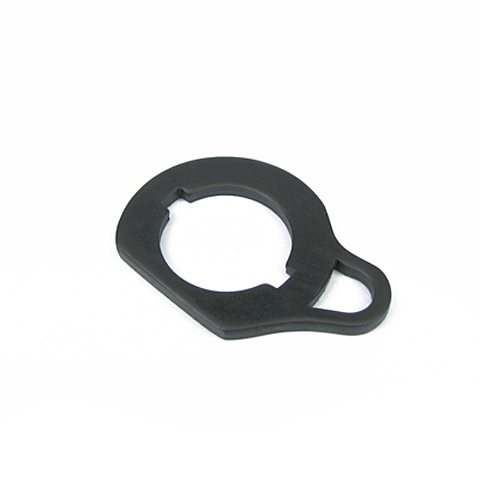 Will fit Marui M16A2 fixed stock and also other M16A2 stock. 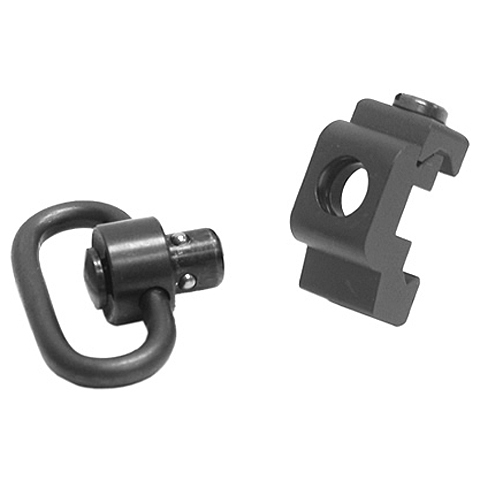 M4 Front Sling Swivel for M16A1 / A2 outer barrel. 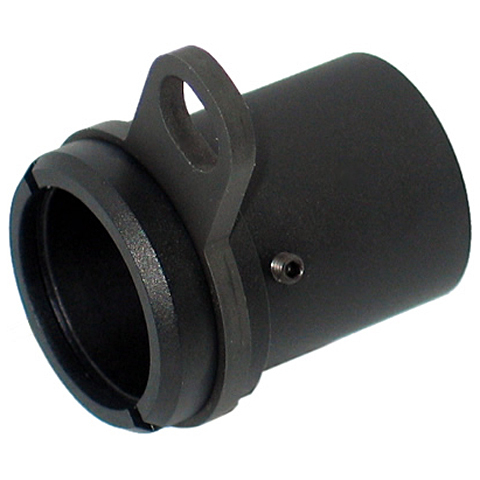 Will fit Marui / KingArms M4 outer barrel. 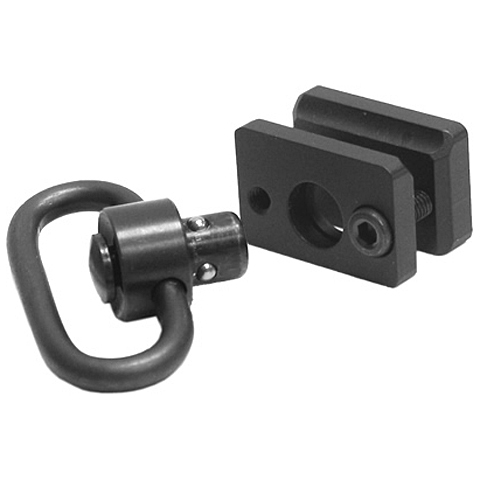 QD Swivel Rail Mount. 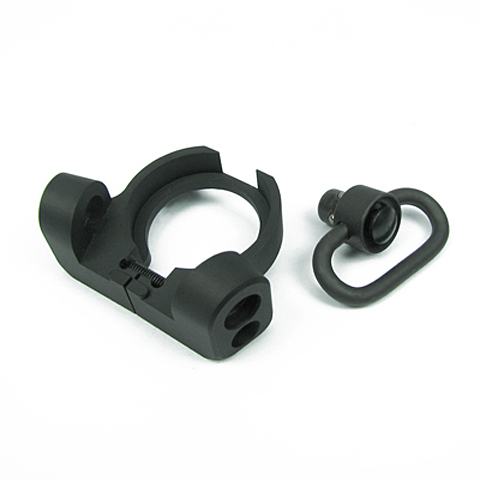 QD sling swivel included. 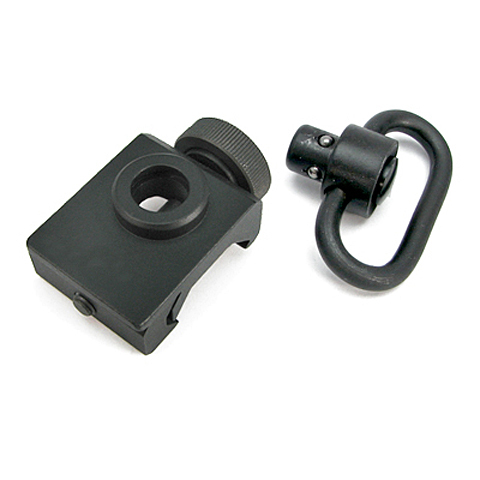 High Grade Sling Adapter. 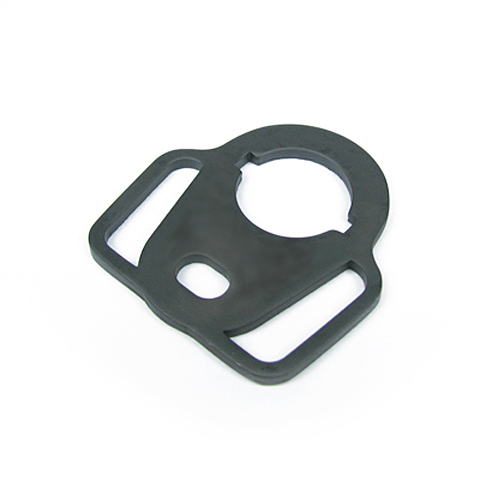 CNC Machined by Aluminum. 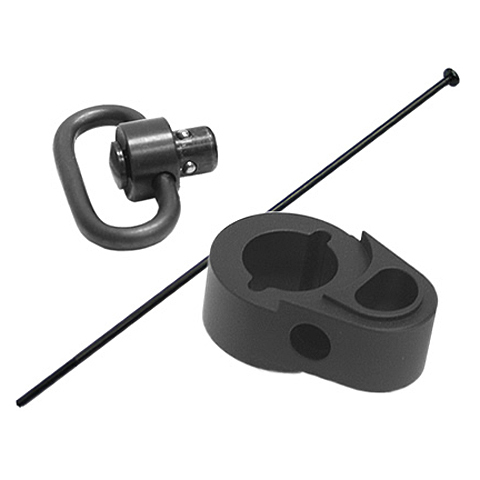 Sling swivel included which can be attached on 2 sides.Will fit King Arms Stock pipe and castle nut only. 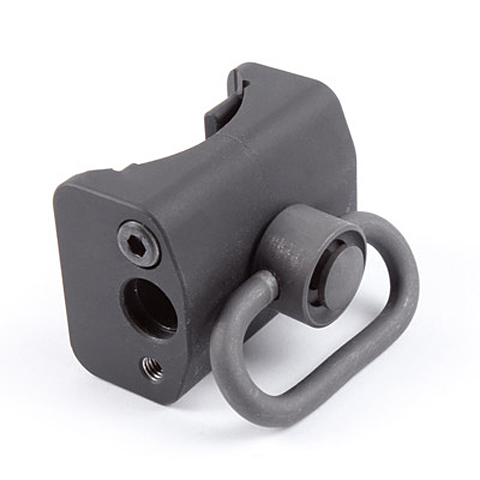 M4 Receiver End Plate with QD Sling Swivel. 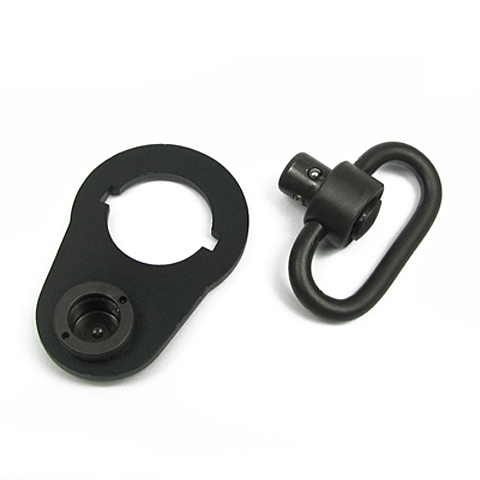 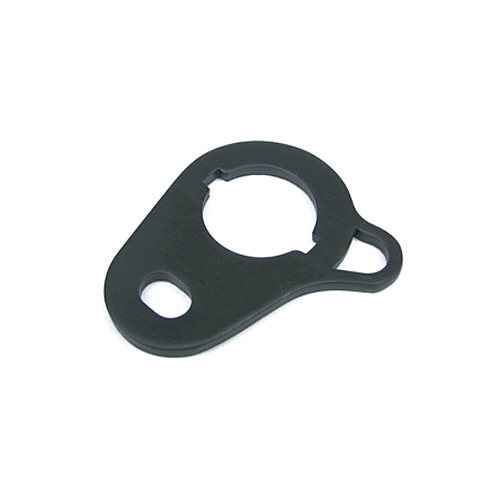 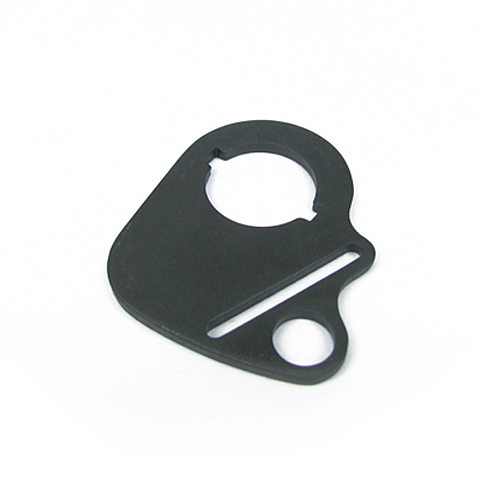 KA M3 Rear Sling Mount for King Arms KA M3 series. 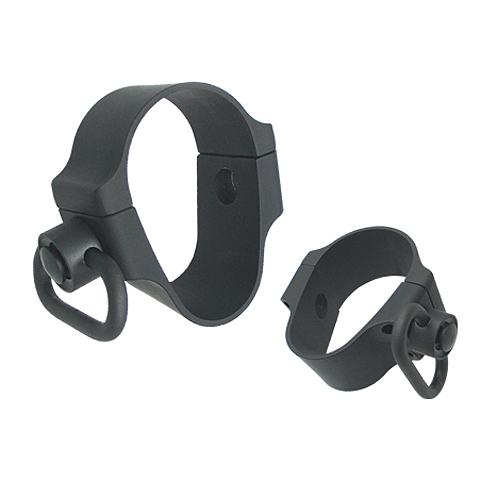 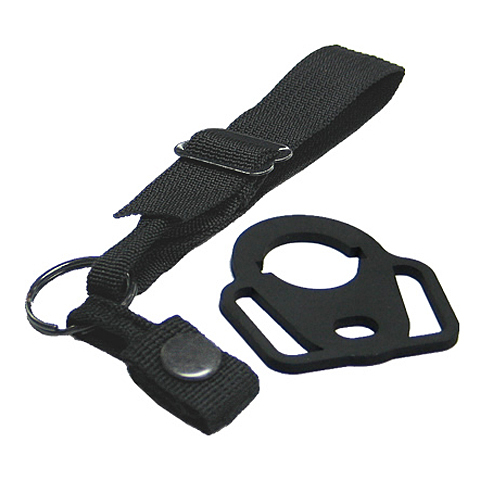 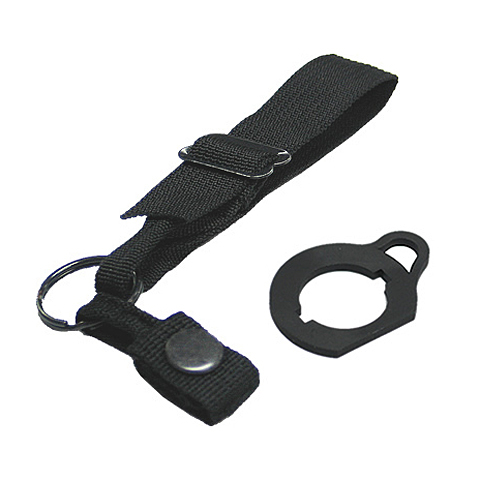 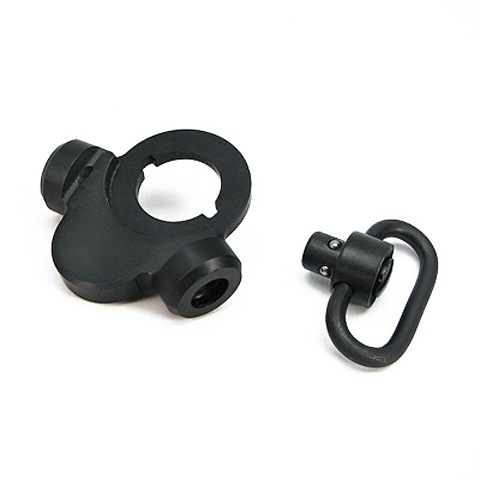 It comes with a QD sling swivel which can be attached in 3 different positions.